If you capture a Colony in the West Indies or build there for the sugar you may find there is no lumber available. Just start a sea trade route between one of your topped out cities (built all improvements, 100% liberty) sending lumber (put the carpenters in the church or town hall). Move carpenters only to the island or just one, build a school and educate the others. This will allow you to build a fortress and rum factory. As for the penalty for destroying Indian villages. Remember, the very basis for Colonization is to steal as much Indian land (and it was all Indian land) as possible, and establish what is fundamentally a European country. [ This is NOT the basis. The basis is too found colonies for people fleeing religious unrest. I don't know whether your 40 million refers to the whole of the America's or what is now just the USA. I thought the numbers where about 3 million Indians in what is now the USA with an English home population of 8 million. I am aware that disease killed many Indians; and Spanish forced labour even more, but even if there were 40 million Indians in the 'USA' then that only makes about 10 million on the eastern seaboard of many ununited tribes. I don't think it was that great though as Indian civilization in this region was less developed than central America. The eastern seaboard now has a population of around 100 million, so even if no Indians were killed or displaced there would still be room for everyone, and African slaves might not have needed to be imported. It was also the policy of English and later American settlers to exterminate the Native Tribes. The last large scale massacre of Indians, Wounded Knee, occurred as late as 1890. This policy began early in the colonization of North America, when it became clear the settlers' militia could not find, or defeat war parties of Indian Braves. Instead, the militia struck at the villages, including the women and children. Later, in the wars against the Plains Indians, the U.S. Army conducted winter campaigns with the express purpose of destroying Indian encampments. Thus depriving the warriors of the supplies needed to survive and fight. I want to make it perfectly clear, I find these actions to be completely despicable. The concept of killing helpless people, whose land this was, is so abhorrent to me that I'm ashamed to be descended from such people. The point is, Colonization is a GAME! And it is the goal of the game to create as large a country as possible. This is reflected in the bonuses awarded for the number of colonists. In this context the Native Tribes in the GAME should be viewed in the same manner as any other factor trying to limit your growth. I feel the penalty is merely an attempt to put "Political Correctness" into what is in reality a war game. After all, why not a penalty for capturing the colonies of the other European powers? Indian villages with the exception of the Incas and the Aztecs rarely yield more than a 1000 gold pieces, an amount I don't consider important enough for the penalty. As for freeing up the land for colonies, the whole point of the game is to steal Indian lands, I don't feel the designers are being consistent if they then penalize you for doing this. Having said all this, I should point out that as a rule I don't attack the Indians unless provoked by repeated and damaging raids. Only then do I do as the computer messages demand and administer retribution. I found it best to clear the spot and plow the land before building the colony you almost always get 4 food PTs plus tobacco, cotton, ore or sugar cane depending on the ground you choose. This does take a bit longer but the end result is much better. It allows you to put 2 colonist's to work before adding a farmer. Another tactic is placing all your colonies as close to each other as possible and trying not to overlap any squares. I normally try to create a ring of colonies that can support each other rather quickly. Venturing off for some resource leaves you spread too thin to hold all the colonies against the King who will divide and conquer your forces. When looking for a good map (by saving and reloading), if you find an Indian capital on the coast, close to the entry point, you can sell tools (about 2200 gold), horses (about 700 gold), tobacco (about 3300 gold) a shot, over and over again, and make stacks of cash really quickly. Well first you must find a good Colony site, by this I mean a site with Mountains, a Forest of some kind, and land to produce an item to sell. Make sure you do not settle too close to an Indian village or another European Colony. Go to Europe and load up on Colonists, and bring them to your Colony. Build another Colony close by in the same manner. (If you are playing in America, settling on Cuba first is a good idea!) Put missionaries in all of the nearby Indian Villages. Have a scout go around and talk to all of the Indian Chief's. Make sure your Colonies are defended. I probably don't have to say this but when settling a Colony do not settle right next to an Indian Village. Because not only will you have to pay for most of your land but eventually you will make them so mad that they will attack you every turn. Make sure that there is a good reason for building that Colony. This means, build it near a special resource square for the money, or build in between two far away Colonies on opposite coasts, as a midway point between the two. Make sure there are trees near the Colony. This is very helpful, because that way you don't have to Ship the Lumber by Wagon Train to the Colony. The Colony does not necessarily have to be near an Ore square (Hills, Mountains, Plains, Tundra, Swamp, etc..) because by the time that you start building inland Colonies you have enough money so that when it asks you for the required Tools, you can just buy them [or ship them in by Wagon train]. Still, if you can possibly settle near an Ore square, do it. Never settle right next to an Indian Village. The computer does this most of the time for some reason. If you do this, once your Colony starts to grow, and more military units come to your City, you will find many, many red exclamation marks on that Village. In short, if you do this the Indians, get really mad, really fast. The only way I recommend doing this is if you don't expect the Colony to go beyond two in population. Always build roads between your inland Colony, and the closest coastal Colony. This enables you to move Units between your Cities very fast. This is also helpful when you find one of your coastal Colonies in need, now you can quickly use the Units in the inland Colony to come to it's aid. Make sure that every one of your Colonies has at least one Soldier, and at least two Horses to start with [for breeding]. Remember, there is nothing worse than finding your best Colony surrounded by Dragoons, and defended by Fishermen. Before you build the Colony, make sure that you buy a Farmer, a Hardy Pioneer, a Free Colonist, a Master at whatever you plan to produce at the Colony, and, of course, a Soldier. Build roads and plow using Pioneers at least two squares to farm on and one or two squares to plant the money crop, if you are going to Plant and not Trap Fur or Mine. The First Colony by BORN@aol.com ? 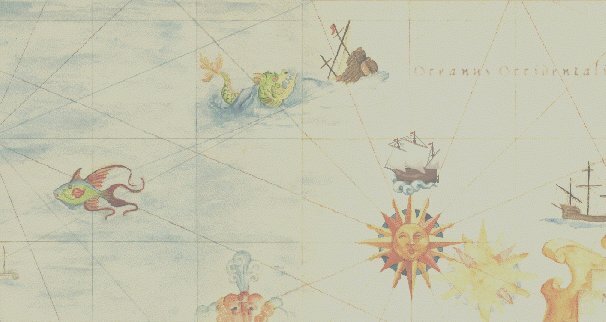 When you get to the New World, you do NOT want to locate your first Colony on a tiny Island, such as in the Caribbean. It is much better to sail to the mainland and start there. An aside, avoid placing any colonies near the Arawak Natives. They are quite blood thirsty and will attack at the drop of a hat. The first Colony should be located near a specialized tile of land, in some fashion. This could be a Mineral Deposit or a Beaver Tail. You get much better results by locating the Colony so. It is most important to allow at least 2 squares distance between any Native Village and the first Colony. This gives you room to grow without paying for Native land. After you get the first Colony located, move the Soldier around a bit while your Ship is returning to Europe. This gives you a full view around your Colony, and allows you to make peace with the Natives right off if they are close by. Once your ship returns to Europe, you should procure, in order, a Scout, 52 horses, and an Expert Farmer. Carry these to the new world with all due haste. The Scout will allow you to explore the Continent and see where the other competing Colonies are. The 52 Horses allow you to use 50 to change the Soldier you have in the New World to a Dragoon, and leave 2 Horses as 'seed' for developing a Horse Herd. The Expert Farmer will get the Colony off to a good start Food wise, so you can use the next Colonist or two as a Lumberjack and Carpenter. Once you have the Scout and Dragoon in the New World, use the Scout to locate the competing Colonists on your Continent. Then use the Dragoon to conquer the competing Colonies. This accomplishes two goals. First, you keep them from attacking you which they will surely do. Secondly, you capture their Colonists and stored Goods. You can use the Ship to sell their goods for much needed Cash. You can send the captured Colonists overland to your first Colony to build it faster. If fact, by leaving the Dragoon in the general locale of their first Colony, you can capture more as they disembark from the Enemy Ships. Thus, you build up your Populace faster. It is also a cheap way to get those skilled Carpenters and such that are expensive to train at the start. Once you have the initial Colony up to 3 population with at least a Farmer, a Colonist as a Lumberjack and someone working in the Carpenter Shop, you can start on the buildings in the Colony. In order, you should build a Lumbermill [Docks first if Food is in short supply], a Warehouse, a Stockade, then a School [None of these require Tools]. You are now ready to move past the start of the game. An aside which may be most important of all. You need to build Colonies fast and furiously. Thus until your City/Colony count is 10-12, you should not increase the Population of first Colony above 3-4. You can start new Cities with the extra Colonists, which increases Liberty Bell and Cross production, which are most important towards successful game completion.